The new 2018 Building Bulletin 101 (BB101) regulations for school ventilation prioritises the reduction of Carbon Dioxide (CO2) in the classrooms. With class sizes getting bigger and new research on the detrimental effects of CO2 in the classroom emerging, these new regulations are a step in the right direction. 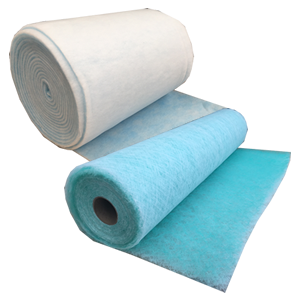 The higher regulations on CO2 mean that most new builds and refurbished schools will need to switch from natural airflow systems (opening windows, vents and chimneys) to mechanical ventilation heat recovery systems (MVHR) to move more air, in, around and out of the classrooms. 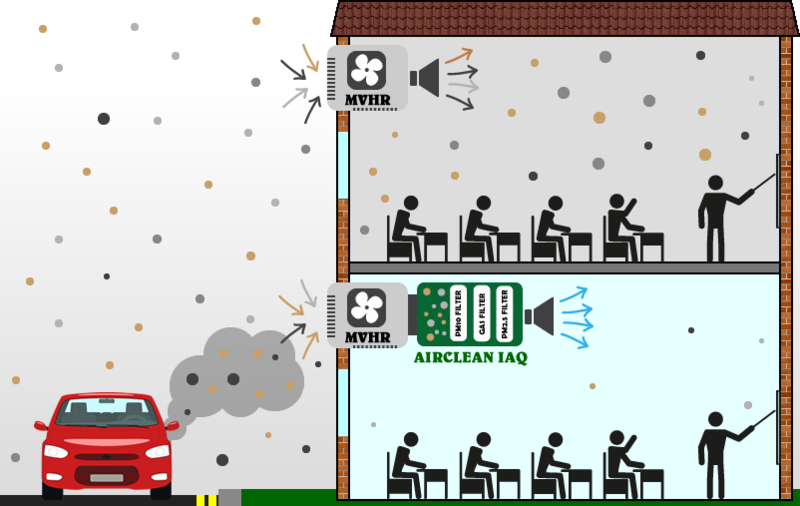 MVHR systems will help reduce CO2 in the classrooms by forcing air from outside into the classroom. However outside air isn’t always the cleanest, and can contain other pollutants like Nitrogen Dioxide (NO2, NOx, NO), Ozone, Pollen and Particulates including PM10 & PM2.5. 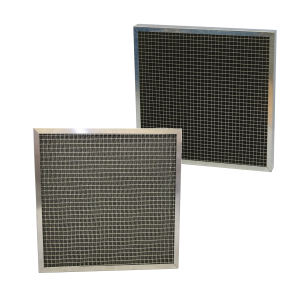 The Airclean Indoor Air Quality Filtration System can be used with Mechanical Ventilation Heat Recovery Systems in offices, schools and domestic houses for the reduction of Particulate Matter (PM10 and PM2.5) and Nitrogen Dioxide (NO2, NOx, NO) to within the limit values set in EU and UK legislation. 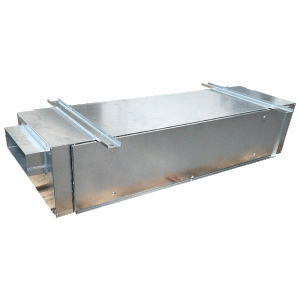 This unit it is designed to work with market domestic and commercial MVHR units without the need for fan upgrades or modifications.